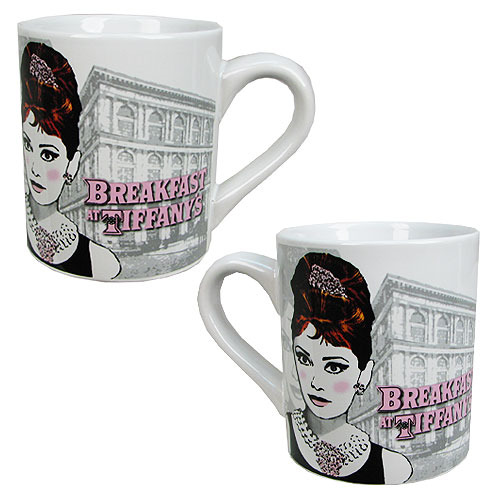 Shopping for Audrey Hepburn Mugs? Quench your thirst with Audrey Hepburn! This Audrey Hepburn 14 oz. Ceramic Mug features an elegant black and white image of the refined Audrey Hepburn. Ceramic mug holds up to 14 ounces of liquid. Hand wash only. Not dishwasher safe. Do not microwave. Ages 12 and up.